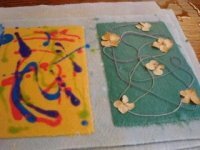 Parents and children learn how to pull and decorate sheets of paper in a shared experience. 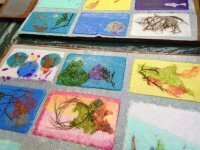 Dip into the pulp together to form sheets of paper in different colors, shapes and sizes. 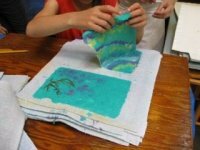 Learn various papermaking techniques and experiment with materials to create beach scenes, tie dyed designs or pulp collages. 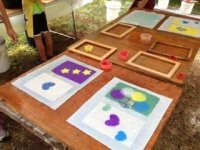 A perfect summer activity for the whole family!